Located 117 miles west of Williams Lake, BC. The trip started from William's Lake (by car) taking highway 20 west. The road was paved the entire trip up to the Puntzi area. 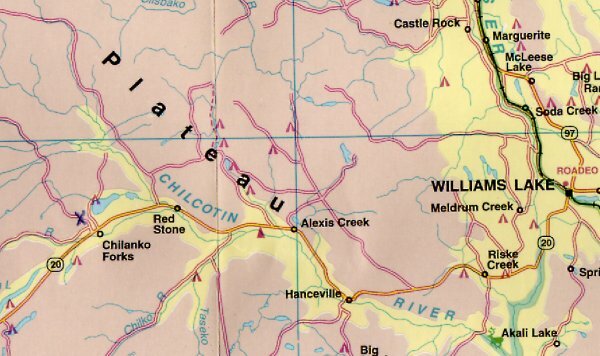 While the first 20 or 30 km's out of William's Lake leave something to be desired for driving due to the many curves, once you pass Riske Creek, the road can be quite straight and driving is easy. Alexis Creek provides an area for food and gasoline. Redstone is an Indian community and offers a store where you can get gasoline, as well as some munchies and drinks. 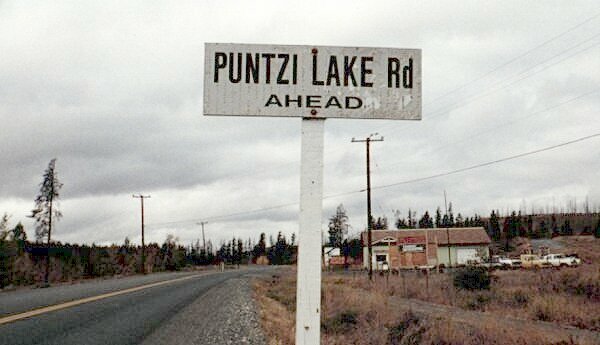 The first indication that you are approaching the Puntzi area is a small road sign on the right hand side of the road that reads "Puntzi Lake Rd Ahead". This is followed by a sign about 8 foot square that reads "Welcome to Puntzi Lake". 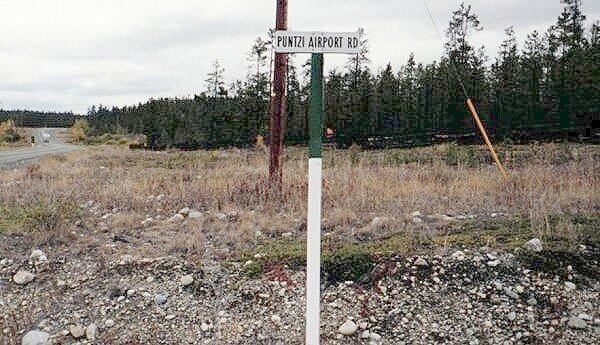 For those wishing to visit the old radar station area, you continue down highway 20 a little further until you see a sign that reads "Puntzi Airport Road". Make a right hand turn at this intersection. There are a number of various types of dwellings, scattered here and there, on both sides of the road as you continue your trek. 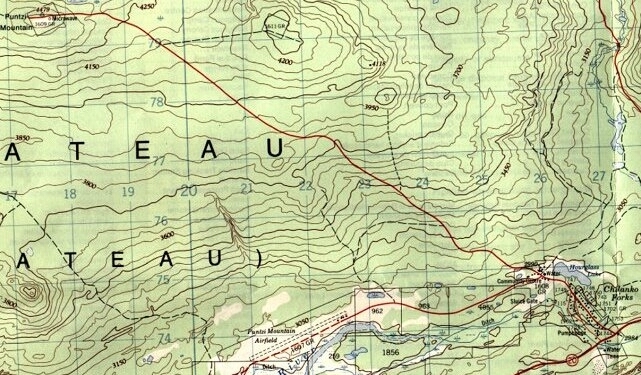 Map 1 is courtesy Rand McNally. Map 2 is courtesy Energy, Mines and Resources Canada.